Russia’s leading state banker German Gref (lead image, left) and members of the Russian intelligentsia have written to the President of France, Emmanuel Macron, announcing their judgement that Suleiman Kerimov (centre) is innocent of the indictment the French prosecutor has filed in Nice. This charges Kerimov with laundering more than half a billion US dollars, allegedly transported in suitcases of cash through Nice airport; and evasion of millions of Euros in French property sale taxes through fraudulent transactions extending from the south of France to Switzerland. 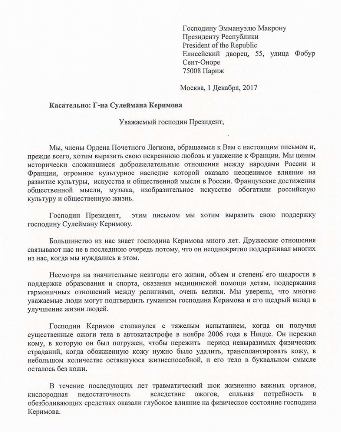 The Russian group also reveals that Kerimov suffers from severe cardiological problems for which the letter proposes he would be better cared for medically in Russia, rather than in France. Heading the eleven signatories of the letter to Macron is Mikhail Prokhorov (right) and his sister, Irina. She is a member of the Ordre des Arts et des Lettres, a French honorific well below the Légion; she then obtained a promotion to the Legion in 2012. The first honour conferred by the French on her brother is that until Kerimov, he was the only Russian oligarch to have been jailed in France on a criminal charge. According to Prokhorov, Gref and the others, Kerimov is “a supreme statesman of the Russian Federation”, and accordingly, he should be released from detention in France to “continue his work in the Federation Council of the Russian Federation.” This is the first time a Russian has publicly identified any work Kerimov has done in the upper house of parliament since his election in 2008. A copy of the Russian letter to Macron was published by a Moscow newspaper on December 4. Eleven signatures are attached to the published letter, but evidently the drafters of the letter were planning to include many more signatories. Russian press reports indicate that thirteen signed before the letter was despatched. We, the members of the Legion of Honor, make this letter of appeal to you. First of all, We want to express our sincere love and respect to France. We appreciate the friendly relations established over history between the peoples of Russia and France, and the huge cultural legacy which has had an invaluable impact on the development of culture, art and social thought in Russia. French achievements in social thought, music, and visual art have enriched Russian culture and public life. Mr. President, with this letter we want to express our support of Mr. Suleiman Kerimov. Most of us know Mr Kerimov for many years. We are linked in friendships, not least because he has supported many of us when we needed it. Despite the significant adversity of his life his generosity has been very large in volume and in degree, in support of education and sports, providing medical assistance to children, and maintaining harmonious relations between religions. We are sure that many dear people can attest to the humanity of Mr. Kerimov and his generous contribution to improving the lives of people. Mr Kerimov faced a severe test when he suffered serious burns in an accident In November 2006 in Nice. He survived, but he was obliged to go through a period of unspeakable physical suffering, when his burned skin had to be removed, the period of transplantation of skin which remained viable, leaving him for a time literally without skin. In the years following his vital organs have suffered from oxygen deficiency due to the burns. His powerful need for pain medication has had a profound influence on the physical condition of Mr. Kerimov. In January 2011 he has suffered a significant deterioration in his cardiac functions, which required open heart surgery to prevent cardiac arrest and replace three major arteries. Even after this surgery Mr. Kerimov is suffering from coronary heart disease with multiple lesions of the coronary arteries, and severe damage to the carotid and cerebral arteries that deliver blood to the brain, accompanied by a high predisposition to thrombosis. These are the specific medical indicators pointing to a serious risk of fatal disorders in his cardiovascular activity. At the moment, the life of Mr Kerimov is supported by a team of doctors, who constantly provide complex medical treatment. We know that Mr. Kerimov respects the law, and we are confident that all the measures necessary for full compliance with French law will be taken. The French authorities’ behaviour with Mr Kerimov would be based on the fact that this basic principle is in full compliance with French laws. All the legal means available would be available to correct the current state of affair. When dealing with Mr. Kerimov, he would be rendered due respect as the supreme statesman of the Russian Federation, and that he would be allowed to continue his work in the Federation Council of the Russian Federation. A tribute to the confidence that is commensurate with his significant contribution to the life of society should be provided to Mr. Kerimov. Mr Kerimov should get humane treatment so that his life is not in danger, and so he would be allowed to return to the medical care necessary to sustain his life, and that he could be reunited with his wife, three children and two grandchildren. We assure that Mr Kerimov will fully cooperate with the investigation. We are ready to provide any other guarantees which would be necessary in order to ensure decent and humane treatment of Mr. Kerimov. Our peoples share a history of friendship. We ask You, Mr. President, for the people of France to show at this point, humanism and human kindness in relation to our friend, Mr. Kerimov, so as to demonstrate a friendly attitude to the people of Russia, and to improve relations between our countries to great mutual benefit. The first signatory, Prokhorov, has been Kerimov’s partner at the Polyus goldmining group, and also in a venture to save Renaissance Capital, a Moscow investment bank, from collapse in 2012. The story of how Kerimov and Prokhorov frightened the chief executive of Renaissance Capital out of his wits, and out of Russia, read this. Prokhorov is better acquainted than most with the way in which French justice works in tandem with French presidential politics. In January 2007 Prokhorov was arrested on charges of pimping, and he spent several days in the cells of a Lyon police station. The case against him was that he had been flying Russian prostitutes into the French alpine resort of Courchevel as gifts for his friends celebrating the New Year holiday. At the time, Prokhorov was one of the control shareholders of the same goldmining company as Kerimov now owns through family cutouts. Once Prokhorov was released to return to Russia, the Moscow authorities ensured that the French prosecutors had no access to him or to other witnesses in the case, so the prosecution was dropped for lack of evidence. Prokhorov called that a vindication and apology. For the involvement of presidential candidate Nicolas Sarkozy in the affair, and the subsequent award of the Ordre des Arts et des Lettres to Prokhorov’s Russian rival, Vladimir Potanin, read this. When Sarkozy was preparing his bid for re-election, Prokhorov was awarded the Légion d’Honneur at the French Embassy in Moscow in March 2011. Left: French Ambassador Jean de Glinaisty; right, Prokhorov with his insignia, March 14, 2011. 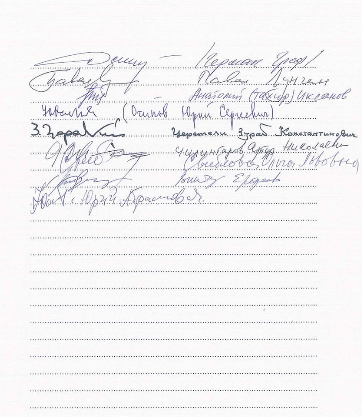 Signing after the Prokhorovs in the appeal for Kerimov’s release, Gref is chief executive of Sberbank. His bank is currently the principal lender to Kerimov’s Polyus goldmining group, which owes a total of $4.6 billion. Sberbank’s exposure to Polyus is 40% of this sum. It banks most of Polyus’s cash; buys a quarter of its gold bullion; and was one of the underwriters of Polyus’s global depositary share (GDS) listing in London. For more details, read this. Since the indictment of Kerimov last month, the Polyus share value has dropped 7%, though at the current GDS price of $39.37, it remains above the $33.25 offer price set in the share sale prospectus on June 30. The current GDS price also remains above the $33.30 level at which the Chinese mining conglomerate Fosun promised to buy 10% of the new Polyus shares for $890 million before this year is out. Fosun has also promised to buy another 5% for $490 million by next May. That makes almost $1.4 billion in Chinese money which Kerimov has been counting on – Gref, too – for reducing his debt. However, the Chinese will not confirm they are going through with the deal. Neither will Polyus acknowledge what is happening, except that the deadline for Fosun to complete the transaction has been extended to the end of next February to give the Chinese government time to consider its approval. This will be reflected in whether the state-owned China Development Bank agrees to lend Fosun the money. The extension of time requested by the Chinese was reported at the end of October, three weeks before Kerimov was arrested. The Légion d’Honneur was invented by Napoleon in 1802; he awarded more sashes and medals to his officers for invading Russia than have been awarded to Russians since the two countries patched up their differences. The French Embassy in Moscow was unable to provide a list of all Russians awarded the Légion d’Honneur in the 20th and 21st centuries, and the Wikipedia listing is incomplete, especially as it identifies only five of thirteen letter signers as legionnaires. The grand master of the Legion is always the incumbent head of the French state; since May that’s Macron. In this position he may command the legionnaires, but he has no legal authority over what the prosecutors and magistrates in Nice decide in the case against Kerimov. For the time being they judge him a flight risk, so last week they ordered his bail raised from an initial €5 million to €40 million. The presiding magistrate refused the prosecutor’s request to return Kerimov to jail. 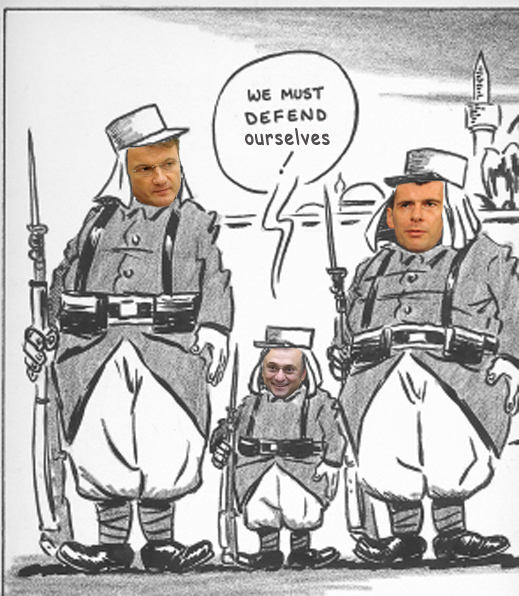 Macron has told the press he is trying to crack down on the number of legionnaire awards handed out. Putin was awarded the légion d’honneur by President Jacques Chirac in 2006. Before him, the French also awarded the honour to Boris Yeltsin, and before that, Tsar Nicholas II. 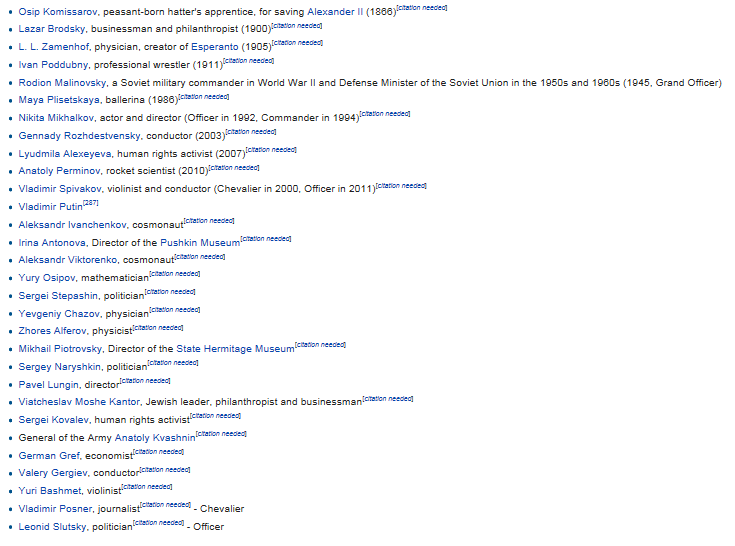 When he headed the Kremlin administration in 2007, Sergei Naryshkin was given the honour by Sarkozy. Left, Putin receives the award from Chirac, September 22, 2006. Right, Sarkozy awards Naryshkin, November 16, 2007. But what of Kerimov himself – what support does he say he provided to the thirteen Russian legionnaires now signing for his freedom from France? Investigators in Cap d’Antibes have begun circulating pictures of the thirteen to see if they are recognized by local tradesmen, delivery boys, and restaurateurs as residents of the villas which are now the focus of the criminal case. Left to right: Artur Chilingarov, Federation Council; Zurab Tsereteli, Russian Academy of Arts; Antoly Iksanov, Bolshoi Theatre; Pavel Lungin, film director; Yury Osipov, Russian Academy of Sciences; Olga Sviblobova, Multimedia Art Museum of Moscow. The Suleiman Kerimov Foundation says its aim is “to help improve lives today and for future generations by investing in initiatives that strengthen communities and ease the plight of young people in Russia and throughout the world”. According to the foundation’s financial reports, when it commenced in 2008, the auditor PriceWaterhouseCoopers confirmed assets of 21.2 million Swiss francs (CHF). In 2013, following enactment of the Russian law requiring Kerimov to declare his foreign assets or divest, the foundation reported assets of CHF20.1 million. By the end of last year, these assets had dropped to CHF6.9 million. The foundation’s grants and distributions have also been dwindling, the accounts show, along with Kerimov’s dividend stream from his Russian businesses. 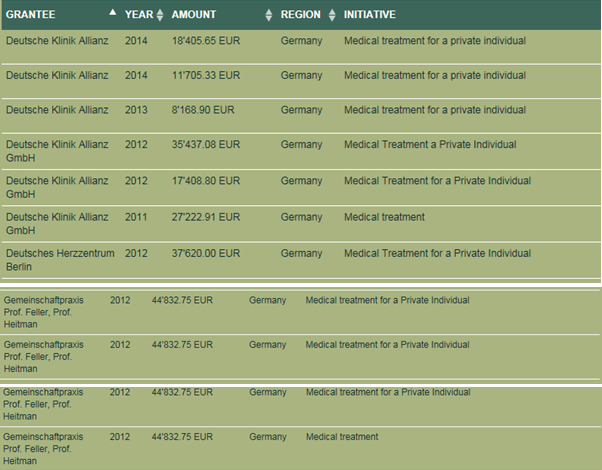 In 2008 CHF146.9 million was “allocated” by the foundation. This dropped to CHF62.5 million in 2010. Between 2011 and 2014 the annual foundation giveaway averaged CHF52.3 million. This fell to CHF32.9 million in 2015. Then last year just CHF920,000 was awarded. The foundation records provide information on 475 recipients of Kerimov’s philanthropy, listed alphabetically. Most of the grants have gone to religious organizations in Dagestan, Kerimov’s natal region; to financing the haj to Mecca for Dagestani pilgrims; and to the construction of mosques in Moscow and Dagestan. Kerimov’s sponsorship of the Russian boxing, wrestling and rowing teams is identified, as are sports teams and an ice rink in Lucerne, where Kerimov’s money is managed. He has also given large sums for the construction of a school at Zarechensk (Murmansk region); and more than Rb1.1 billion to the Russian Ministry of Defense for a military university (2009) and for social welfare programs for soldiers (2007). 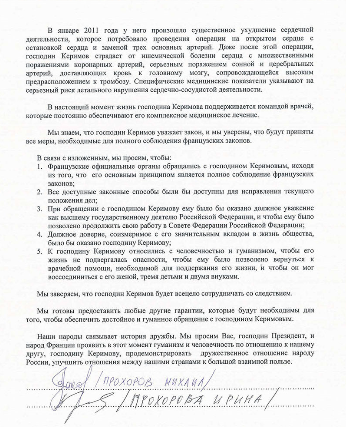 The legionnaires’ letter refers to Kerimov’s medical condition as reason for his release to Russia. The foundation records appear to show that most of his medical bills for burns treatment, cardiology and plastic surgery have been paid to doctors practising in Germany. His medical payments have not been reported since 2014. Although Kerimov’s medical troubles resulted from his car crash in Nice in November 2006, no award to a French medical clinic, French doctor, or French charitable cause has been reported by the foundation. Not a single donation to the legionnaires who have signed for Kerimov is recorded, nor the museums, orchestras, film studios, and educational institutes with which they are associated. The only Russian artist Kerimov has supported was pop singer Iosif Kobzon who was given Rb19.5 million in 2008. In 2011 Rb180,000 was donated to “a private individual” as “general financial support for hardship”, and in the same year Rb246,000 as “housing assistance for private individual”. If the 13 legionnaires received money from Kerimov for help, Kerimov’s foundation has not wanted to disclose their identities. They don’t want to admit them now.